The Royal Stafford Factory shop is a shopper’s dream of individual pieces that are perfect as gifts or as a treat for yourself! The shop is an ever-changing emporium of traditional patterns, modern shapes and contemporary items available at heavily reduced prices. Enjoy the complete ceramics experience and discover the history and heritage of the Potteries at our award-winning museums and visitor centres across Stoke-on-Trent. 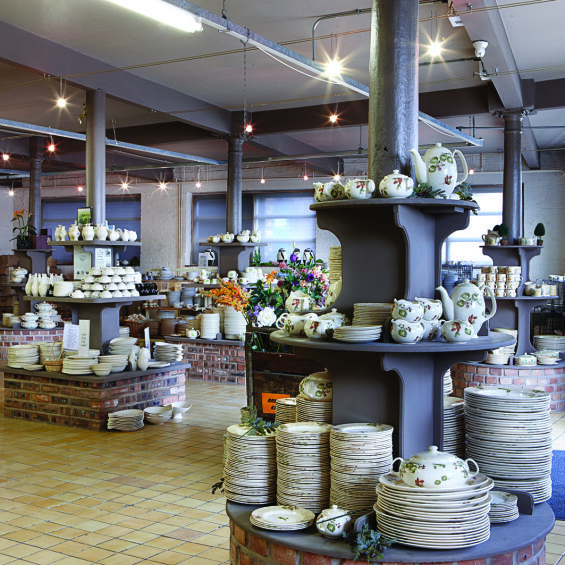 Find out more about the Ceramics Trail!